Off To The Kingsford® Invitational! The great folks at Kingsford® have invited me to come hang with them in St. Louis and to attend (as a spectator) the $50K winner-take-all Kingsford Invitational competition in Belle, Missouri this weekend. This is a competition like no other in the world of competition barbecue. 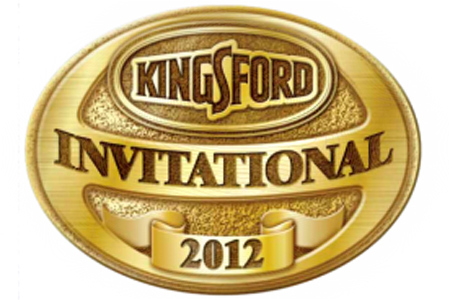 Kingsford has invited the cream of the cream of the crop to a contest that seeks to bridge the gaps between the various competitive barbecue sanctioning bodies to crown the best in the nation. In order to get an invitation to this event the teams had to win one of only a select few competitions. Folks, we're talking about only eight teams. That's how exclusive this gig is. In addition to top teams, Kingsford has also recruited a group of true barbecue experts to be the judges. It's only fitting for competition of this caliber. I look forward to attending the contest, and you can look forward to a series of posts about the competition and the events surrounding it. Wow, have fun! I'm jealous that I can't be there to taste test, it is making me hungry just thinking about it.